Kassie Allegretti joined Horizon Elder Law & Estate Planning, Inc. in April of 2013 as an Administrative Assistant. 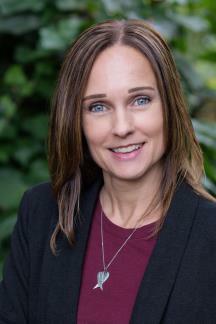 Kassie’s professional experience includes over 15 years of office experience as well as 5 years of paralegal work assisting three personal injury attorneys. Kassie’s dedication and work ethic have proven to be a valuable asset to our firm and has been promoted to Client Services Director. Kassie’s compassion and consideration for our clients stems from her personal experience in assisting her mother with life’s struggles and dealing with the loss of her grandmother, who suffered from Dementia. Kassie lives in Tracy with her husband, and her two adult children. She is dedicated to making every day count and enjoys spending leisurely time outdoors with her family.